For my first workshop with Nick, I didn’t know what to expect. I was excited as I knew this would be something new. 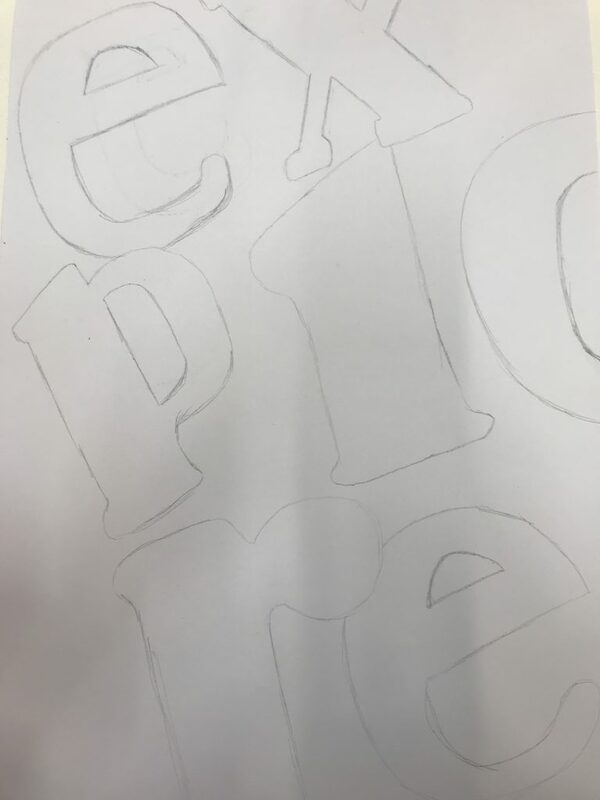 Nick introduced the workshop and informed us we would be working with typography and instead of simply copying it, instead we would be looking at how we can be inspired by this. We were working with three different fonts: Cooper Black, Futura, and Baskerville. I actually quite liked how this was trying to be a statement and say well you have given me a page and I don’t need to include every letter and I don’t need to do this. I felt like it gave the type a voice and a purpose. It wasn’t there to be pretty and look nice, it was there to follow a function. I decided to go ahead and do something completely different. I decided to work landscape this time instead of a portrait. I feel for this type although it is one of my favourites, I don’t think the outcome is as effective as Cooper Black. 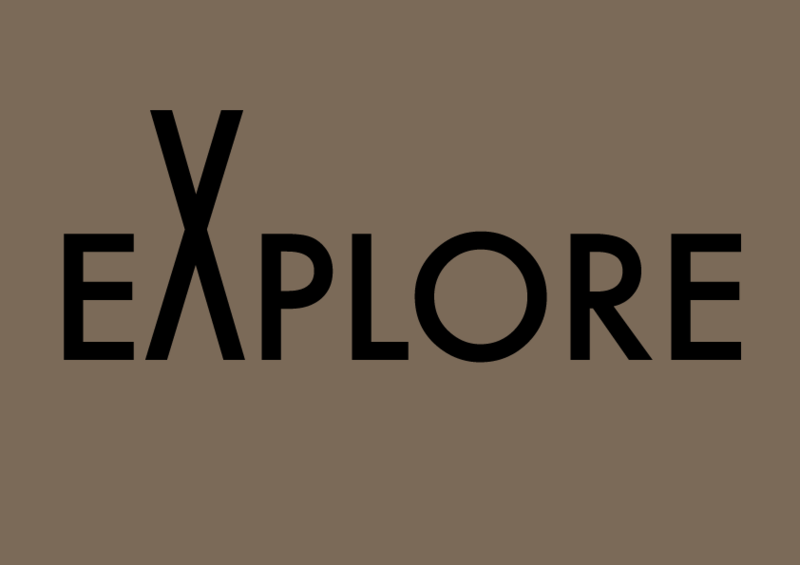 I noticed that the gap in the P and R are different as the P is much thinner than the R gap. I think a lot more considerations should have been thought about but due to the fact I thought it was so simple, I assumed that this would be an easy task and it wasn’t. I actually quite like the composition, it almost feels framed. I am quite happy with some of the letters especially the “r”, I like the way this looks and feels. Again with this type, I need to focus on the “e” as they are quite different from each other but I am at least happy that there are some elements I do like about my work. I decided to download these fonts and try using the same composition, layout and size of the type to make my hand render typography come to life. I created this inspired by the same hand rendered typography I worked with. I actually found it interesting to actually see this type working live in Photoshop and Illustrator, although this is very bold, it isn’t harsh and follows a circular composition which doesn’t make it as grungy. 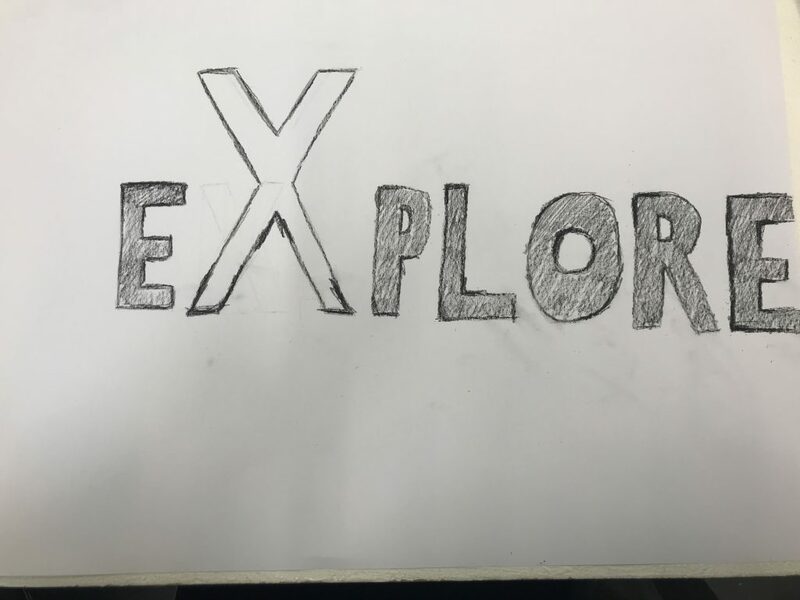 I worked with having the x off the page similar to in my drawing as I was trying to create a statement piece to push the boundaries of what we had to follow. I really like this typography and the layout for this, it almost feels quite adventurous and challenging the “norm”. I love this typography, this is one I use in a lot of my projects, it is very clean and minimal and communicates the point straight away. I think this could be used in a lot of commercial projects and has a similar effect as Helvetica. For this layout, I think it works well as the typography is being the main narrative and through the use of the negative space and minimalism, it takes the viewer straight to the point. I was excited to play with this text as I haven’t ever used this typography before. 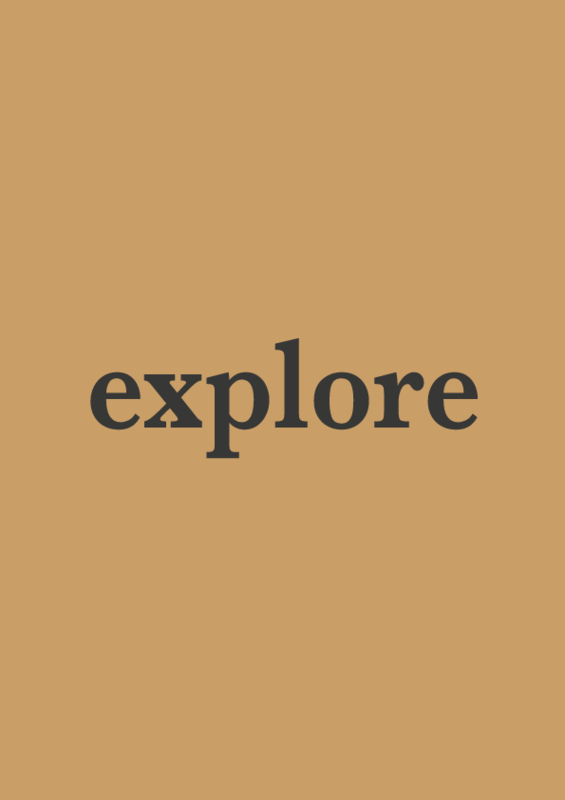 It has a similar feel as Helvetica to it due to the use of very straight linear lines and edges. I really like Baskerville and would like to play with this in my studio and commercial projects, this has opened my eyes to looking at new typography and to challenge myself to work with a new font in each project as I like to stick with what I know. I am glad I have come away from this workshop with a new task to set for myself. I am surprised that I enjoyed this exercise as typography is something I never usually like doing. However, I enjoyed being given the chance to try and work with typography as it made me come out of my comfort zone. I did find it hard to draw the type. Drawing is something that doesn’t come naturally to me however one of the tutors told me in the first year you don’t have to be good at everything, this is something that has stuck by me and I always revert back to this. 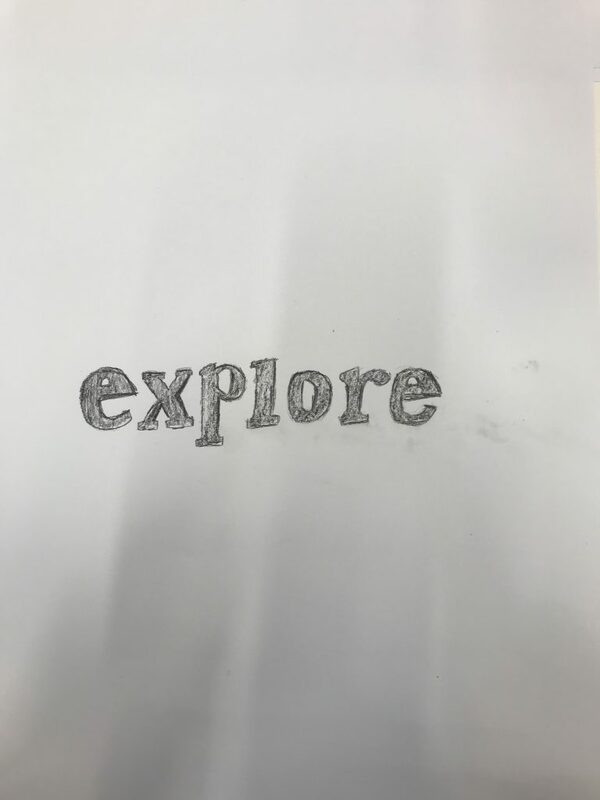 I am glad we did this workshop as it allowed me to try something different however I am also glad I could say that typography is something I don’t enjoy doing and I wouldn’t like to do this as a career. I am glad that I can say things I don’t like at this point while finding things I do like. I feel like I am moving forward and starting to understand my practice more.